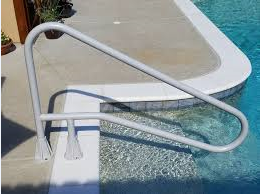 There are several ways to install a handrail on your existing pool deck. 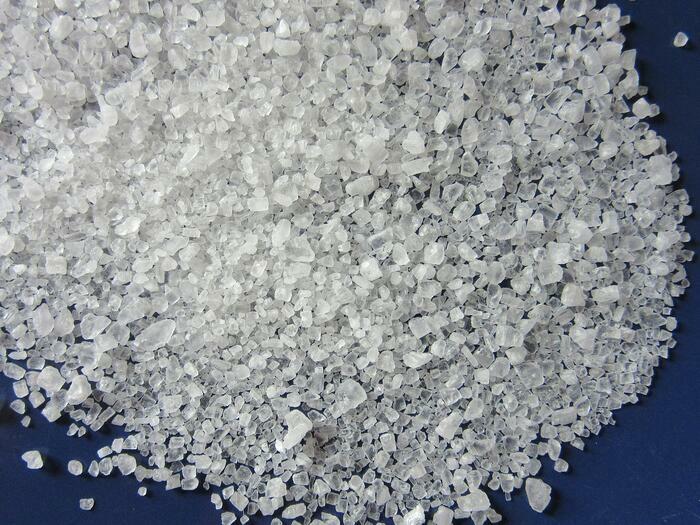 These options range from labor intensive and expensive to simple and inexpensive. When a handrail is installed on a new pool, typically anchors are poured into the deck for the handrails or ladder to sit in. These pre-installed anchors allow for the handrail to be easily removable and also easily grounded. If a handrail wasn't installed at the time the pool was built, there is still hope to have a handrail. 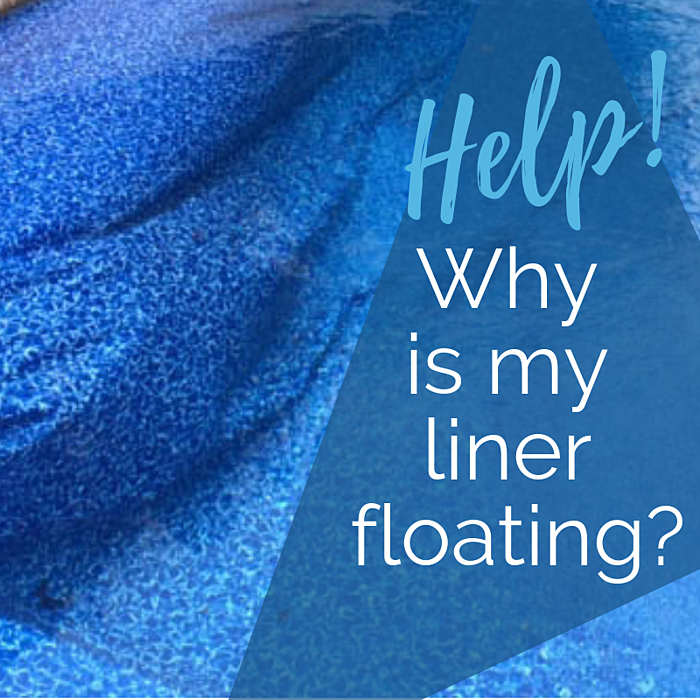 One option is to cut a small section of the deck, between the ladder cup placement and the edge of the pool wall so the cups can be installed and a bonding wire attached to the pool structure. Once this is done, place the handrail anchors cups in the cut section, attach bonding wire (#8 copper wire) to anchor cups then connect to bonding wire that runs around the perimeter of the pool, at pools edge or grid. Then re-pour that section of deck. This option is more time consuming than most other options because it does require re-pouring concrete in the cut section and may not result in a seamless finish. When cutting the deck, you will want to make sure you cut a large enough area to install the anchor, yet not so much as to compromise the integrity of the pool structure or cause cracking of the deck. *Although this can be done by the home owner, it is highly recommended a licensed electrician bond the handrail to the pool structure per local codes and requirements. 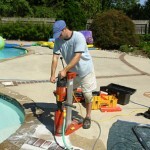 While drilling, be sure not to over-heat the drill and to keep debris from getting into the pool. After the holes are drilled and the core removed, you have several variations prior to installing the handrail. First, you could put pea gravel in the bottom of the hole to stop the hand rail from going to deep and to assist in holding it in. Second, you could insert a PVC sleeve in the hole in addition to the pea gravel. If you chose this variation, be sure to choose a piece of PVC barely large enough for the handrail to slide into, you will also have to drill the hole in the deck larger to allow for the PVC sleeve to be inserted. For the third and final variation, you may pour quickcrete in the bottom of the drilled hole to provide a stop for the hand rail. If you choose this option, be sure to only put in enough quickcrete for a base, if you pour in too much, the hand rail will not fit properly. In addition, unless you want your handrail to be a permanent fixture, allow the quickcrete to set completely before inserting the handrail into the hole. *Although this can be done by the home owner, it is highly recommended a licensed electrician bond the handrail to the pool structure per local codes and requirements. The final option is very simply and not as intrusive to your deck. This option utilizes an “On-Deck Mounted Anchor.” With this option, like the other options, you will need to ensure to properly mark the location of your handrail, then start drilling. 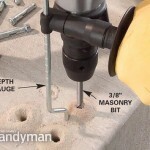 With this option, you will only need a drill and a masonry drill bit. Once you have marked the location for both deck-mount anchors, drill the appropriate holes for the anchor bolts. 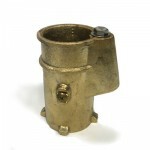 Most deck mounted anchor sets will come with the necessary hardware for installation. Now you are ready to install the anchors to the deck, then install the handrail in the anchors. 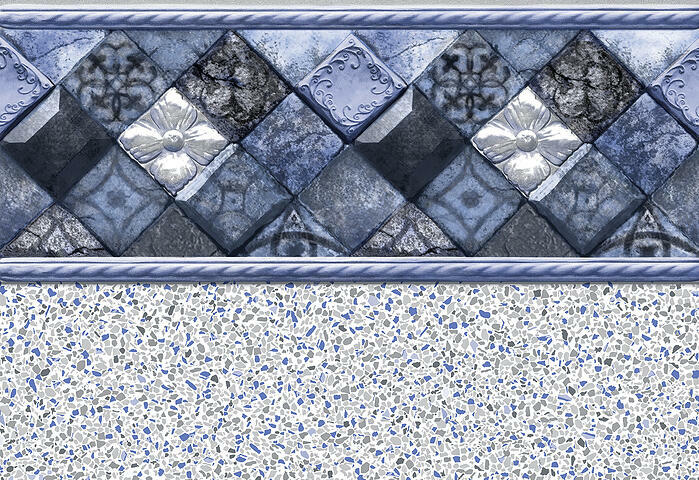 This option can be used with either a concrete or wood deck. Be sure to use the proper drill bit and anchors for your deck type. The best option is to install an “On the Deck” polymer handrail. This style of handrail does not require bonding or cutting out a section of the deck. That makes them safer and easiest to install on any deck. 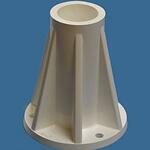 It is similar to option 3 as far as the installation of the deck flanges. The handrail then can simply be slipped into the flanges. (diag. 1) If you prefer the more traditional look, there is also a polymer handrail that comes in a style that is more familiar looking to the pool owner. (diag. 2) It is installed in the deck by using a “core drill” similar to option 2. 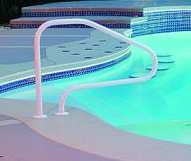 This handrail as well, does not require bonding to the pool structure. Both of these handrails meet the local codes and requirements, non-corrosive, high in strength and maintenance free. With the first two installation options, be sure to get escutcheons for your handrail to finish the look where the handrail meets the deck. Now don't forget to bond your handrail, and you'll all set! You will need a bonding wire to ground your new handrail. Typically, this can be tied into the bonding wire that runs underground, around the perimeter of the pool. A simple saw cut section in the deck, from the newly installed handrail cups to the bonding wire at the edge of the pool will be suitable. This will save from having to run the ground wire all the way back to the equipment pad.